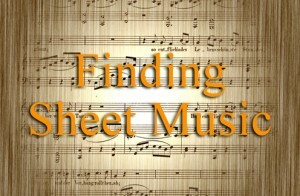 We receive many inquiries at the conservatory regarding local places to find sheet music. Although there are some local music stores in Santa Monica where you can find a fair selection of music scores, Music students have a greater probability of finding exactly what they need searching online. With some help from our Music instructors, I put together the following list sheet music resources.